California’s largest health care system is a state-run single-payer system (“Medi-Cal”) that covers the state’s 13 million poorest residents, a population greater than all but four states. Service is terrible. Despite spending of $100 billion per year, appointments are hard to get, emergency room visits are up, there’s little indication of greater healthiness, and there’s even evidence than uninsured patients do better in some cases. Yet the California Legislature has not seriously tried to fix it. Indeed, in a twist worthy of parody by George Orwell, a Select Committee in the legislature recently proposed changes to other and even better-performing parts of the health care system but, with a single exception, not to Medi-Cal! 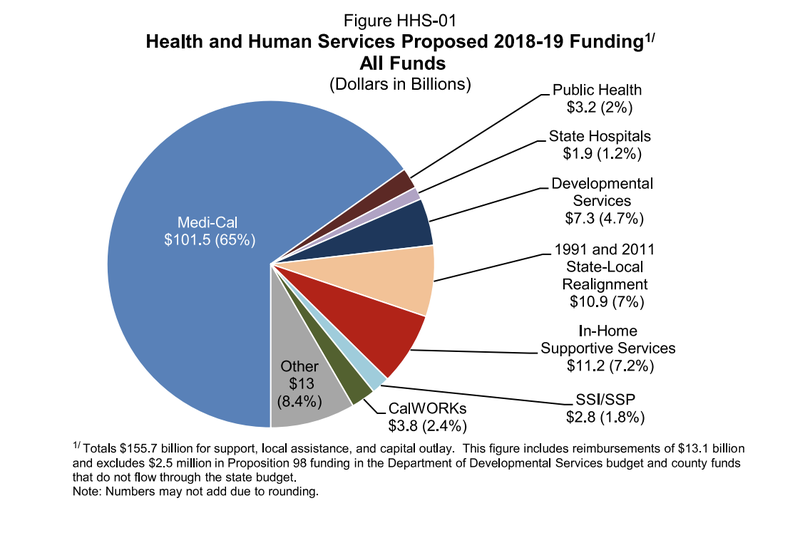 Meanwhile, all that unproductive Medi-Cal spending is also crowding out funding for the needy, courts, parks, the University of California and California State University. It’s not as is there aren’t plenty of reforms for the legislature to consider and adopt. To boost customer convenience the legislature could change scope of practice laws and establish co-locations at fire stations and schools. To reduce visits to expensive hospitals the legislature could adopt a “cap-and-trade” type approach that employs sticks-and-carrots to encourage customer treatment at lower cost locations. To reduce super-use of expensive hospitals and to improve lives for patients with chronic conditions the legislature could utilize less expensive social programs to reach cost-emergent users in advance. All it takes is courage. Everyone inside the Sacramento beltway knows the real reason for legislative inaction: legislators are afraid to confront the special interests that profit from that $100 billion. But legislators need to walk their talk. More than 90 percent of Californians now have health care coverage but more than one-third of them are stuck in a woefully under-performing system under the legislature’s control. What good is coverage if it’s not accompanied by consumer-friendly access and care that actually produces better health? Money isn’t the problem. The state has doubled spending — delivering an additional $50 billion per year to providers!— since 2010. The problem is the state is pouring $100 billion per year into the pockets of providers without getting value — ie, health! — at a reasonable cost in exchange. California’s legislature should look in the mirror and make its existing state-run system work for its 13 million enrollees.